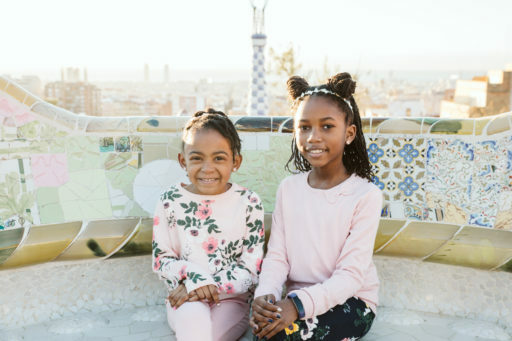 This is a recap of our trip to Barcelona with kids. 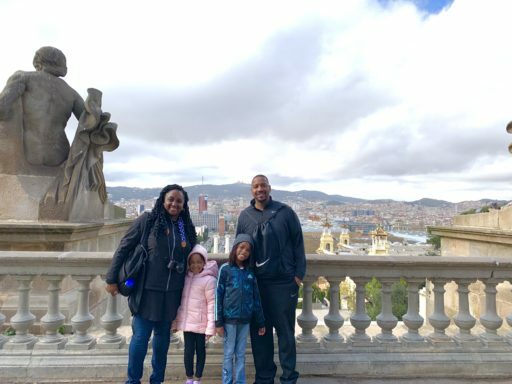 Our third official Spring Break Family trip was a week split between Barcelona, Valencia, and Madrid, Spain with stops in Peniscola and Cuenca, Spain. Every year is becoming harder to top because this trip was absolutely phenomenal! Standard note for all our itinerary posts: Agendas are great. In fact, I love agendas. But if I’ve learned anything from traveling overseas with kids, I’ve learned to be flexible. 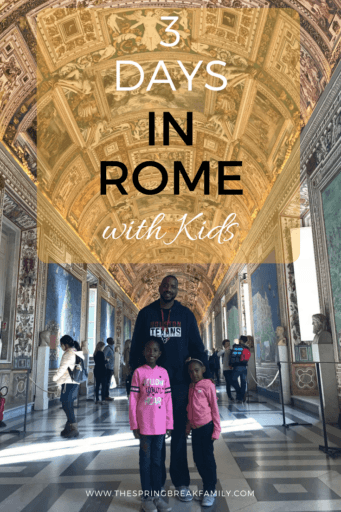 Our itineraries are intended to provide a loose framework for what we’d like to do but the city [and the mood of the kids] decide what we actually end up doing. That being said, we always have a ton of fun because we do it together. Now, let’s dive in! We landed in Barcelona early in the morning but jet lag is real so our first day was dedicated to arriving, getting settled, and eating. Overall Rating: 4.5/5 — fantastic location, spacious apartment, full kitchen amenities, clean, and quiet. Aparthotels [or managed apartments or serviced apartments] are our favorite places type of accommodation for families. You get the space of an apartment with the safety and service of a hotel. Sixtyfour Apartments is actually managed by the hotel next door [aptly named Sixtytwo Hotel] and we felt it was the perfect choice for where to stay in Barcelona with kids. Due to the proximity of their management team, we got unlimited towels [always a big deal for us for whatever reason], access to the hotel [including their breakfast service for a small fee], and a manned front desk. The apartment itself was incredibly spacious with two full bedrooms – one with two twins and another with a king — and two full bathrooms. There was also a kitchen with eating table, dining room space, a living room, and a sitting area. The bedrooms were on opposite ends of the apartment which gave Phil and I a chance for privacy after the girls went to bed. I deducted half a star because Phil felt the mattress in the master was a bit too firm but I seriously can’t say enough good things about this hotel. 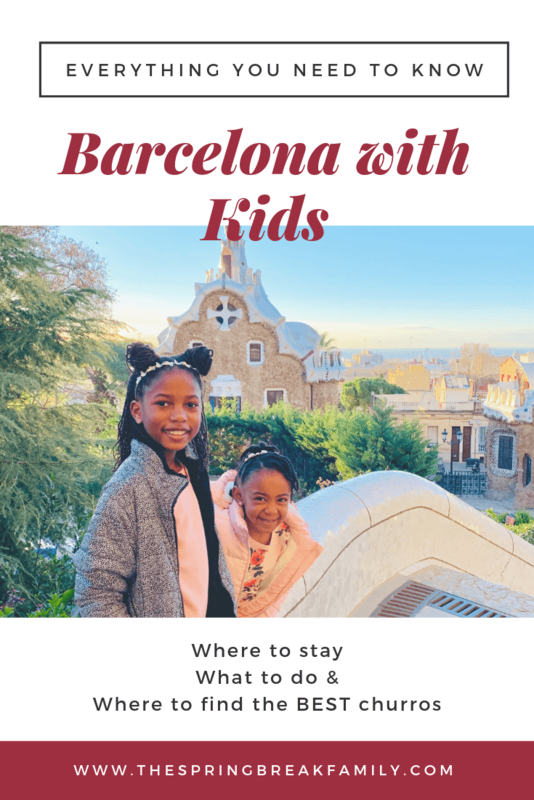 Highly recommend this place for where to stay in Barcelona with kids! Accessibility note: This aparthotel does come with a lift but it requires you to climb a few stairs to reach it. It is also an antique elevator with a low weight limit and a narrow entrance. Walkers and such won’t be a problem but more heavy-duty electronic wheelchairs might pose a problem. Something to consider if visiting Barcelona with kids with accessibility needs and figuring out where to stay. 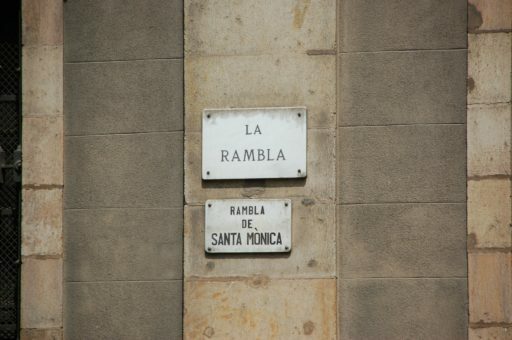 After getting a late breakfast, we headed straight to Las Ramblas to walk around and explore. This street is very popular and it shows. There were a ton of people coming and going [and coming and going]. It felt a bit like a frenzy and with all the pickpockets in Barcelona, we tried to keep it moving. Speaking of pickpockets, be sure to secure your valuables in any popular area of Barcelona. We escaped the city unscathed but there have been horror stories about money, passports, cameras, etc. being stolen while in Barcelona. Learn [Super Simple] Ways to Avoid Pickpockets in Europe! The street starts near the cruise port and continues down to Placa de Catalunya and is mostly walkable. It is a long street though so highly recommend catching it somewhere in the middle [we started near Carrer del Carme] if you’re walking with kids. We initially had plans to stop at some of the shops along the street but instead we just let the flow of people lead us to our next stop: La Boqueria. La Boqueria is right off Las Ramblas [near Carrer del Carme] so is an easy stop if you’re in the area. If you visit outside of early morning hours, this place is crowded and busy. Our littlest one did fine in the crowds but there were definitely moments of people reaching over and around her that made her feel a teensy bit squished. If crowds aren’t your thing, try to visit during off hours but honestly I’d just prepare myself for a crowd. From candy to crepes to carcasses, you’ll find anything you might ever want to eat here. Almost all the booth vendors spoke English but if language barriers are a concern just point to the items you want. 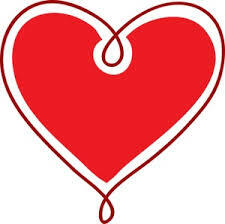 Most, if not all the vendors, do not take credit cards so be prepared with cash. Just be sure to count your change when you receive it. Seating isn’t exactly plentiful so if you want to stop here for lunch [or dinner], head to the very back of the market. There are benches [and quiet] behind the market. Some of the restaurants making up the edge of La Boqueria also have dedicated seating areas. The highlight of our day was our visit to La Sagrada Familia. Purchase tickets from their official site to avoid overhead. You can buy just a basic ticket that includes admission to the basilica or opt for additional features. Kids 10 and under are free [YAY!] but require a $0 ticket. 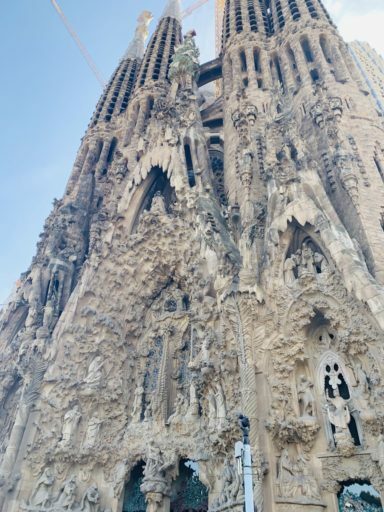 Due to the nature of the building there are lots of age restrictions at La Sagrada Familia. 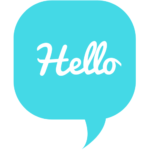 Accessibility note: those with limited mobility are not allowed to visit the towers. We learned our lesson from the guided tour of the Colosseum and simply purchased basic tickets. You will be assigned a time for entrance. Show up 10-20 minutes before your assigned time to give yourself time to not only take pictures outside but also to beat the crowd. Everyone scheduled for our 3:00 PM entrance time showed up at 3:00 PM and the queue became really long. By entering the line at 2:50, we were able to beat the rush. There are areas of active worship within La Sagrada Familia so please mind the dress code, rules, and regulations. Also, the stories of ongoing construction in the church are not exaggerated. More than likely, they will be working on areas of La Sagrada Familia during your visit and there will be dust. If you are allergen sensitive, be sure to pack your allergy eye drops! Ever do something wonderful and then ask yourself “Why haven’t I done this before?”. Well, that was us with the Barcelona Bus tours! It was such an easy way for us to cover ground in the city and we saw way more in one day than we would have been able to see on foot. Hop on hop off buses have officially been added to our “must do” list in every city! The parent company, iSango travels offers a ton of Barcelona tours but we took the the Barcelona Bus Turistic Hop On Hop Off Tour bus option. They have three route options, run daily, and have about a 5 minute wait at each stop. You can purchase 1 or 2 day passes that will give you unlimited rides during operating hours on any of those routes. We really weren’t sure what to expect for our first Hop On, Hop Off experience so we took the red route as it seemed to be the most popular. It was an excellent choice because we saw the most popular tourist attractions from the comfort of the bus and even found some gems that weren’t on our radar! During the ride, we were provided with headphones to listen to the guides detail attractions in the city as we passed them. There are over 15 language options available on the different stations so a wide audience is covered. You’re also given a coupon book with wonderful discounts to places around the city. We were able to use it at some of our stops. At the end of our ride, we all felt like mini-city experts [including the girls who spouted facts about Barcelona for the rest of the night] and felt like we really got to see Barcelona! Thank you to iSango Travels for providing complimentary tickets! Earlier I mentioned how riding the Barcelona Hop On Hop Off bus helped us discover hidden gems in the city. We’d heard of the National Art Museum of Catalonia during our research but it hadn’t made the itinerary because of limited time. Well, when the audio guide announced an upcoming stop that had magnificent views of the city, we just had to get off. Turns out the National Art Museum of Catalonia is on top of a high mountain in Park Montjuic. From the front of the building you can see a beautiful panoramic view of Barcelona [including La Sagrada Familia which looks huge even from way up there]. I think it was one of the girls’ favorite stops because the little one said “I’ve never felt like this before.” while she gazed over the city. Gave this traveling mom a few tears in her eyes. After marveling at the beauty of the city [and taking a bunch of pictures], you can explore more of the park, including the Teleferic de Montjuic cable cars, or you can head back to the bus. We only had to wait a few minutes before the next bus came to pick us up. Word of caution: the area felt wide, clean, and safe but there were a few guys standing around obviously looking for easy theft victims. It’s almost laughable because they were so obvious but having your things taken is no laughing matter. Besides, we saw tons of people taking pictures there with unsecured purses and backpacks. Invest in an anti-theft bag and be aware of your surroundings. Our second unexpected stop of the day was to Maremagnum, a waterfront shopping center in Barcelona near Port Vell. The weather in Spring is not warm enough to break out our beach bods so we hadn’t planned on visiting Barcelona’s wonderful beaches. However, the audioguide on our Barcelona Bus tour convinced us otherwise! The shops available in this store are pretty American-ized but there are a few local gems scattered around too. The highlight of this mall when visiting Barcelona with kids though is the restaurant selection. Maremagnum has three levels and restaurant options on each floor. For the best views, eat at one of the restaurants on the third floor. The structure is open on one side making for a fabulous seaside meal without actually sitting outside. There is even a quasi-buffet style restaurant called FrescCo on the first floor where kids eat free. If you’re not hungry or in the shopping mood, Maremagnum also has free Wi-Fi, outlets to charge your electronics, comfortable seating areas, and air conditioning so it is a nice pit stop. Back onto the bus for our next stop: Gothic Quarter. It is the oldest neighborhood in Barcelona and a tourist favorite due to the architecture. This was a great quick stop for our family because the kiddos bore of looking at buildings after a while. 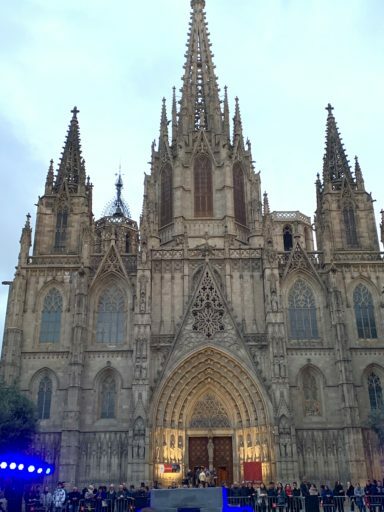 Be sure to stop by the Barcelona Cathedral [not to be confused with La Sagrada Familia]! It’s gorgeous and performance artists often do shows in the huge plaza out front. Because of its smaller size, it is a teensy bit easier to tackle with smaller kids and less expensive too. Entry is 7 Euros for adults and free for kids ages 12 and under. We’d performed extremely extensive churro research prior to our trip and were fairly confident our palate was primed and ready for the chewy, sugary delicacy. Churreria Laietana was famed as one of the best and most authentic churro places in the city and was conveniently located within walking distance from the Barcelona Cathedral. Although Spaniards are not as heavy handed with the sugar as Americans [and it is sans cinnamon], Churreria Latina did not disappoint! 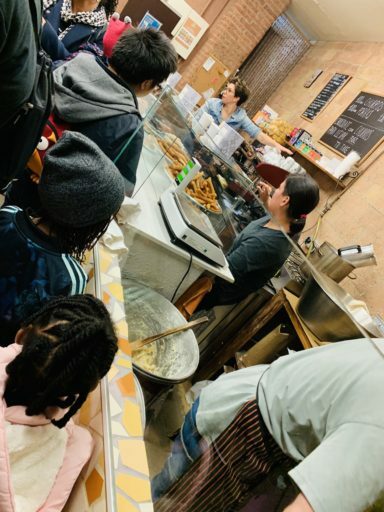 You can watch the staff make churros behind the counter and they serve it up fresh. An order of churros is only 1.30 Euros and 3.30 Euros if you want chocolate. There is a small additional upcharge for takeaway. Two orders of churros was more than enough for our family of four. Seating is limited and be prepared to wait. The reputation of this place precedes itself and there is always a line out the door. It goes quickly though and we were lucky enough to have seating available by the time we made it to the counter. If not, there is a small plaza around the corner with seating available. Due to a scheduled Flytographer shoot, we saved Park Guell for our final day in Barcelona with the kids. The park is actually split into two sections: a green space that is free to the public and an elaborately designed area that you mostly see online called the Monumental zone. 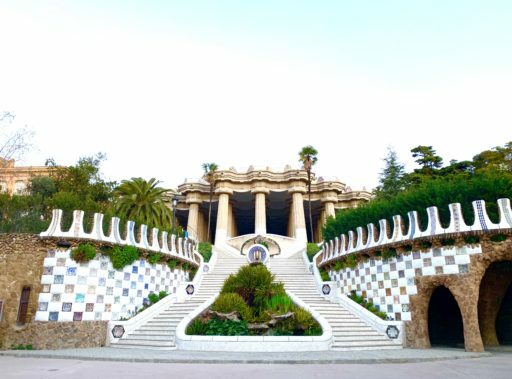 The Monumental zone is the Gaudi designed area with the gingerbread house, the gorgeous mosaic tile, and is usually where most tourists visit. Both subway and bus [public metro and Barcelona Bus tour] can deliver you to Park Guell but we recommend taking a taxi if you’re with kids. It is approximately a 10 minute walk uphill from where the public transportation lets you off to the Monumental zone. A taxi, on the other hand, can drop you right at the entrance. From Passeig de Gracia, it was about 10 Euros. Admission to the Monumental Zone requires a timed and ticketed entry; general admission is 10 Euros for adults, 7 Euros for kids ages 7-12, and free for kids 6 and under. However, if you arrive before opening hours [8 AM during peak season and 8:30 during low season], you can get in absolutely free of charge. Once you’re in, you’re in and will not have to pay a ticket price. As a bonus: the park is mostly empty if you arrive early! When we visited [March 2019], parts of the Monumental Zone were under construction and it was dusty so again: allergy sufferers beware. BUT it was 100% worth the visit as the park is jaw-droppingly beautiful. Plus, our pictures turned out fantastic! 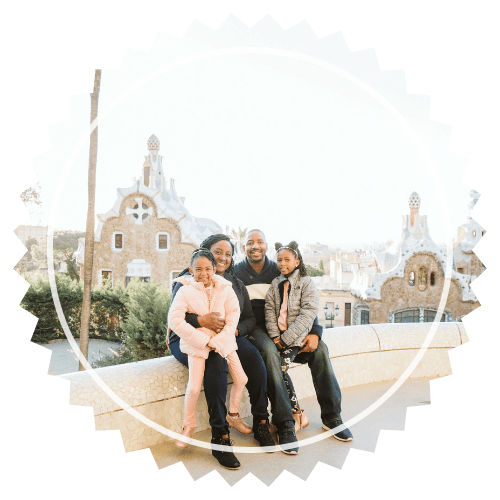 A professional photoshoot with Flytographer is an annual tradition in our family and we didn’t want to miss the opportunity in Barcelona. We chose Park Guell as the location of our Barcelona photoshoot and now that we’ve visited the city, it was the right choice! We chose an early time to avoid the crowds. There are a few people in our pictures but not enough to be a hindrance. Our Flytographer session was a 30 minute session with Natalia — a young, bubbly photographer that the kids adored. We highly recommend her for a Barcelona photoshoot; just have an idea of what poses you would like to get as a family to help guide the session. 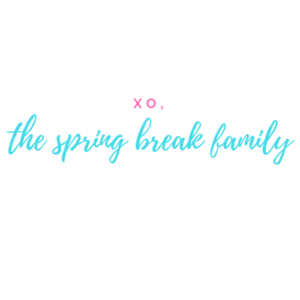 Check out our detailed review of Flytographer, why we use their service every year, and use the referral link for a $25 discount! After our Barcelona photoshoot was complete, we rented a car and headed to Valencia! 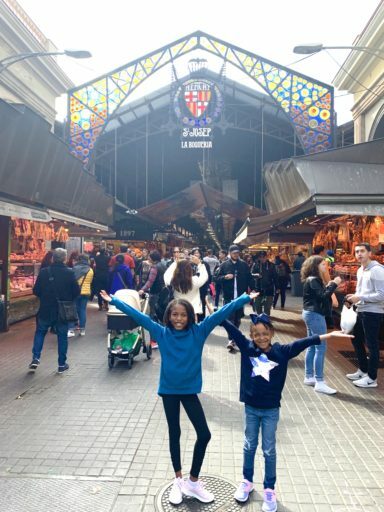 See everything we saw during our trip to Barcelona with kids on The Spring Break Family Youtube channel! 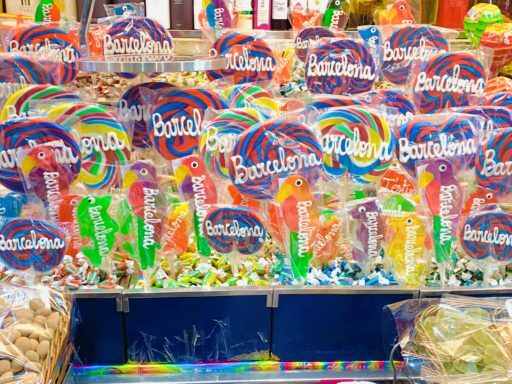 Have you been to Barcelona with kids? Leave a comment with your favorite activity below! I mostly saw the video to this blog post. You all are so cool and cute! Fine photo work of beautiful Barcelona. Well done!